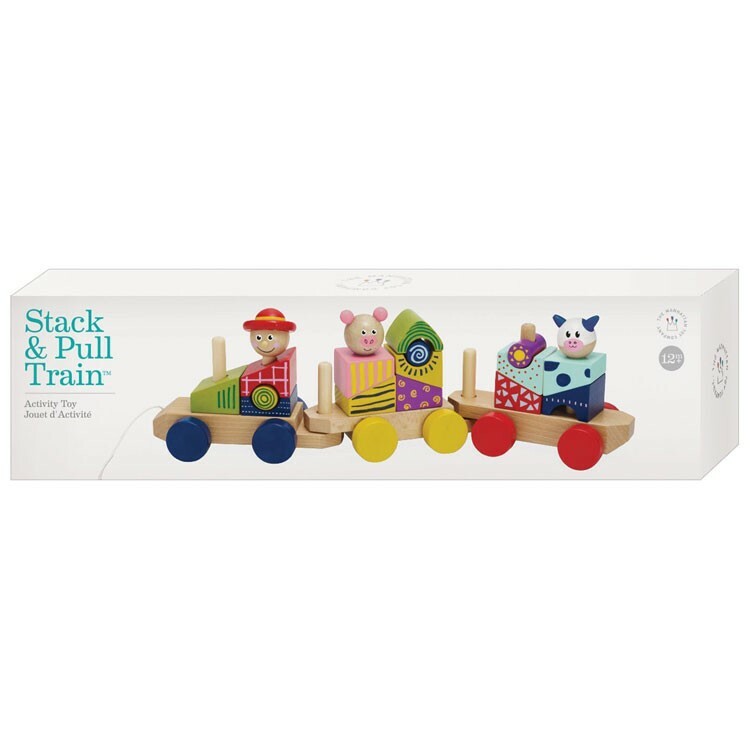 The Stack & Pull Train by Manhattan Toy is a unique toy train, block set, toddler pull vehicle, and stacking toy - all in one. Choo-Choo, make way for the coolest train around! 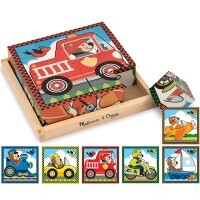 The Stack & Pull Train Wooden Blocks Set by Manhattan Toy is a unique toy train, block set, toddler pull vehicle, and stacking toy - all in one. 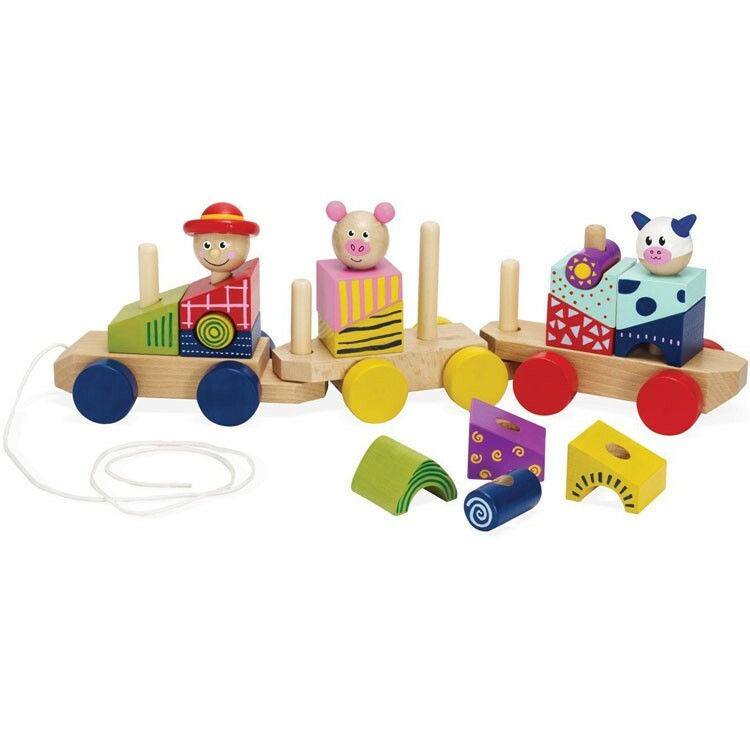 Featuring easy-to-grasp colorful wooden pieces and three wheeled train bases, the 21-piece Stack & Pull Train Wooden Blocks Set is sure to bring you hours of fun. 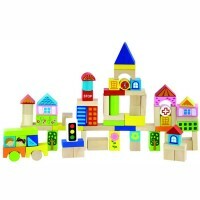 This exciting activity toy from Educational Toys Planet lets you stack together different wooden blocks to build an entire train. 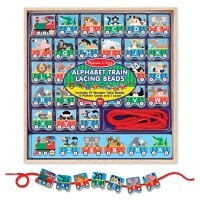 Top the train cars with the smiling toy characters and play with the imaginative toy for hours! 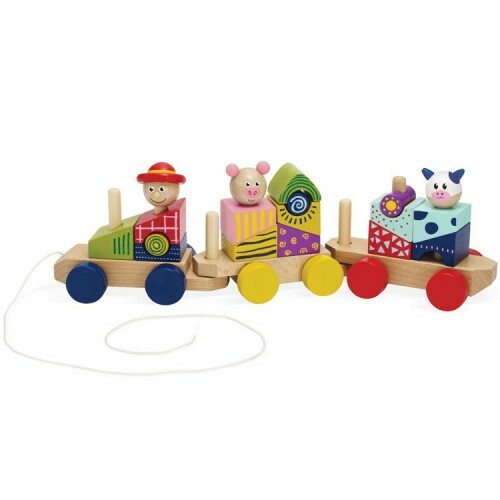 The wooden toy train comes with a pulling string to turn your colorful vehicle into a toddler pull toy! 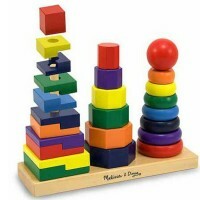 This toddler stacking play set is made from maple wood and water based paint, making it both safe and super durable. 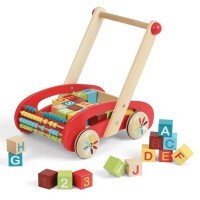 Great for encouraging imagination, creativity and motor skills, this toy train is sure to become a family favorite. 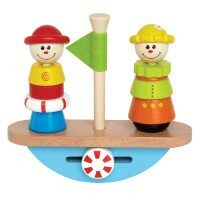 All aboard for endless fun! 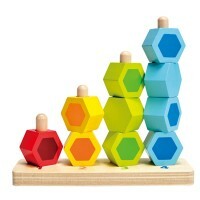 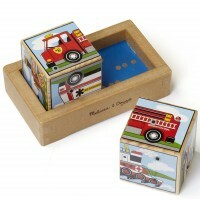 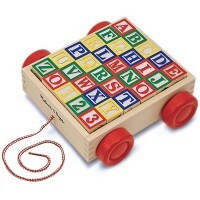 Dimensions of package 3" x 15.5" x 5"
Write your own review of Stack & Pull Train Wooden Blocks Set.